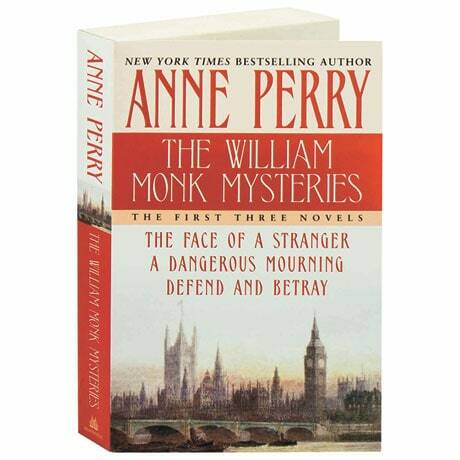 No one else re-creates the gas-lit atmosphere of Victorian London quite like Edgar Award winner Anne Perry, who followed up her Thomas and Charlotte Pitt series with the William Monk mysteries, the first three of which are collected in this omnibus. The Face of a Strangermight well describe the detective's own, as Monk wakes up after a carriage accident with no memory, yet manages to hide this fact from his police department. With the help of nurse Hester Latterly he returns to investigating murder cases—and his own often-troubling past. Through A Dangerous Mourning and Defend and Betray, Monk's obstinate, impulsive behavior is balanced by his unalloyed sense of justice and humanity.